Excel has come a long way since its original 1985 inception. We all know the powerhouse program is a spreadsheet king, but the real trick is making spreadsheets work for you and aid in your business. Managers wear many hats in business. Excel can become a manager’s tool chest in crafting user-friendly, shareable spreadsheets for several business needs. Excel has the capability to create an auto-generated monthly scheduling system with easy to use built-in calendars. For more information on creating a shift schedule in excel visit here. Excel can also mainstream comprehensive guides through flowcharts when dealing with certain business processes and procedures. Accounting is synonymous with spreadsheets, and for good reason! Knowing your financial standing within your business is crucial to success. Excel can provide comprehensive tools for you to use and keep track of basic finances and budgets. You can customize spreadsheets with colors, fonts, equations and charts to bring pivotal information to the forefront. Utilizing the built-in algorithm features and equations can help you to transform a list of numbers into useful spreadsheets, break-even analysis with generated charts for visuals, and so much more. Using Excel to track and collect sales data can help any business maximize their sales and show comparisons over the course of time. With enough data, Excel can even predict trends and forecast sales! This can become a major asset to planning your seasonal promotions and selling opportunities. Every business should keep track of their fans! Customer information is extremely valuable. From email addresses, home addresses, demographic info, and so much more, you can keep it all in a well-sorted display. 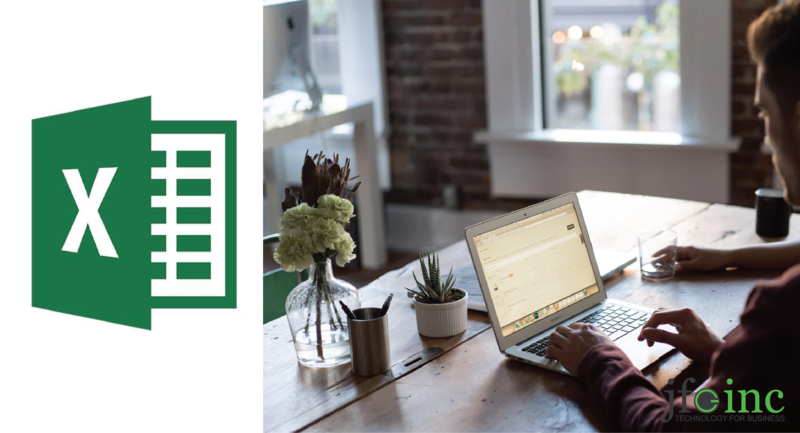 Microsoft Excel is often overlooked as just another program in the Office Suite, but, it can become an asset to you and your business if you take the time to learn the program. Give it a try – it may surprise you.